An ancient building in southeastern Iran has become a museum of traditional professions that attracts a large number of visitors. A historic school in the city of Kerman, in southeastern Iran, has been restored and renovated and renamed “Economuseum”. It is a place where visitors can familiarize themselves with the different traditional professions of the city. For starters, the Grand Bazaar of Kerman has numerous attractions. Anyone entering the market can spend hours visiting the historical monuments there, including old small workshops. Old men have still kept alive and probably forgotten professions in the province. 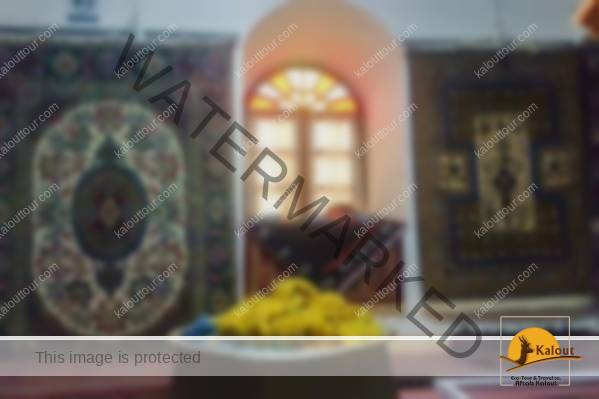 According to a Persian report from the Mehr News , one of the ancient monuments in the main hall of the bazaar was recently restored. Visitors can now see for themselves the traditional professions of Kerman people there. Each camera is dedicated to a certain art and industry. Ceramics, carpet weaving, carpet weaving and a room with symbolic decoration suggesting that Kermanis decorate the rooms of their houses. A public road in the monument is going to be adapted and put into service, too. This place is known as the Lady Bibijan School. The building was opened to the public in 2015 as the Econonomuseum of Professions, which houses visitors and tourists. The historic building built in 1888 was first used as a joint Iran-UK bank. Later, after the bank was transferred to the British consulate, the building was renovated in 1933 for use by students. In 1941, it was named after the lady “Bibi Hayati”, and was used as a school until 1977. It was then abandoned and extinguished. And several years ago, it was restored and converted into a museum.